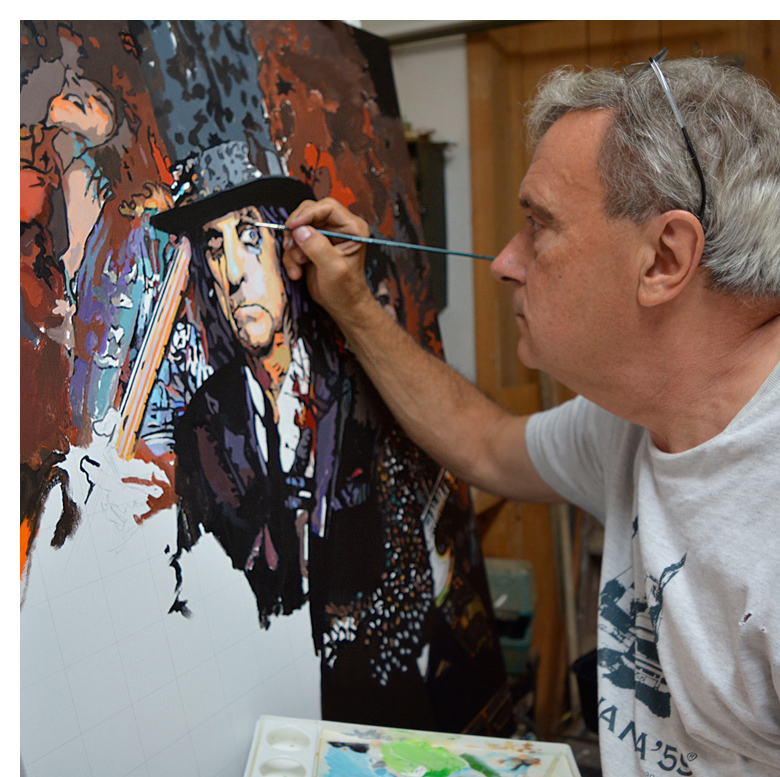 Only 100 prints of the painting created by artist George Rothacker of musical legend Alice Cooper are being produced for a limited time to benefit Media Fellowship House sponsorships to the Media Theatre Summer Camp 2017. 40% of all net proceeds be donated by Mr. Rothacker of any sales generated before December 31, 2017. In addition, Mr. Rothacker will donate 30% of the proceeds (not including tax or shipping) from the sale of his original painting ($1440.00) if sold before December 31, 2017. If you are interested in a print...or perhaps are an Alice Cooper fan and would like the painting, please click below. All prints are catalogued and signed, titled and numbered by the artist in pencil. Prints are shipped rolled in a tube, ready for matting and framing. The painting will be shipped (without a frame, but with edges painted ready for hanging. Alice Cooper, born Vincent Damon Furnier, is an American singer, songwriter and actor whose career spans over five decades. With his distinctive raspy voice and a stage show that features guillotines, electric chairs, fake blood, deadly snakes, baby dolls, and dueling swords, Cooper is considered by music journalists and peers alike to be “The Godfather of Shock Rock.” He has drawn equally from horror films, vaudeville, and garage rock to pioneer a macabre and theatrical brand of rock designed to shock people. Originating in Phoenix, Arizona in the late 1960s after he moved from Detroit, Michigan, Alice Cooper was originally a band consisting of Furnier on vocals and harmonica, lead guitarist Glen Buxton, Michael Bruce on rhythm guitar, Dennis Dunaway on bass guitar, and drummer Neal Smith. The original Alice Cooper band released its first album in 1969 but broke into the international music mainstream with the 1971 hit I'm Eighteen from their third studio album Love It to Death, which was followed by the even bigger single School’s Out in 1972. The band reached their commercial peak with the 1973 album Billion Dollar Babies. Furnier adopted the band's name as his own name in the 1970s and began a solo career with the 1975 concept album Welcome to My Nightmare. In 2011, he released Welcome 2 My Nightmare, his 19th album as a solo artist and 26th album in total. 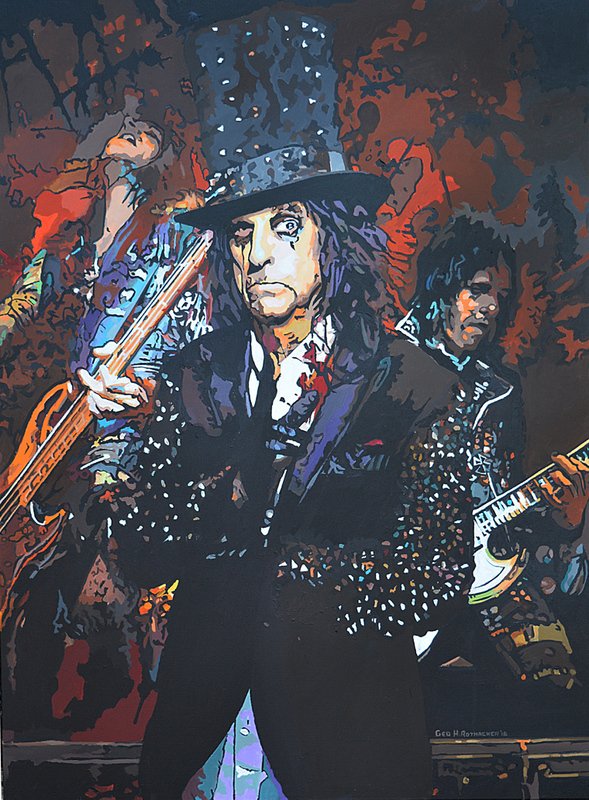 In 2011, the original Alice Cooper band was inducted into the Rock and Roll Hall of Fame. Cooper is known for his social and witty persona offstage, with The Rolling Stone Album Guide calling him the world's most "beloved heavy metal entertainer". He is credited with helping to shape the sound and look of heavy metal, and has been described as the artist who “first introduced horror imagery to rock’n’roll, and whose stagecraft and showmanship have permanently transformed the genre." Away from music, Cooper is a film actor, a golfing celebrity, a restaurateur, and, since 2004, a popular radio DJ with his classic rock show Nights with Alice Cooper.